CARMEL, Ind. 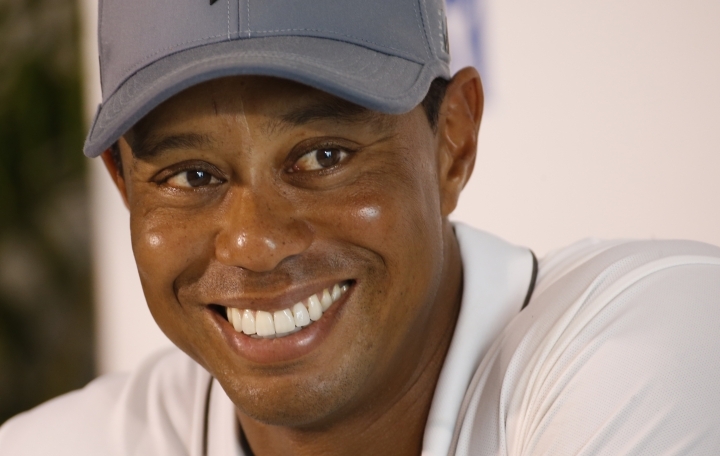 — Out of golf for more than a year, Tiger Woods said Wednesday he hopes to play the first event of the PGA Tour season next month and could play as much as twice more before the end of the year. 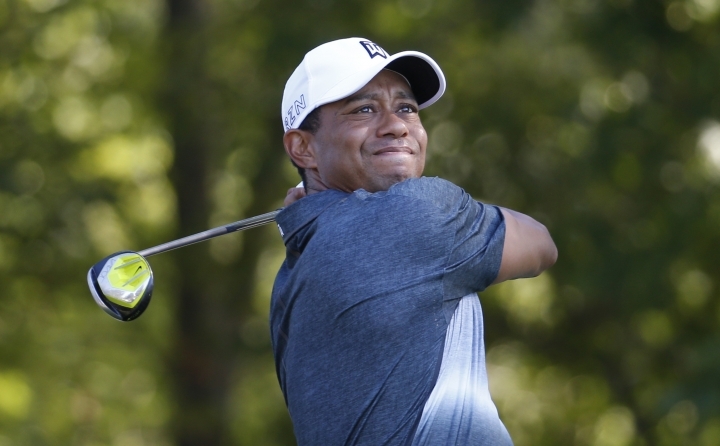 "My rehabilitation is to the point where I'm comfortable making plans, but I still have work to do," Woods said in a surprise announcement on his website . "Whether I can play depends on my continued progress and recovery. My hope is to have my game ready to go." Jack Nicklaus tweeted to Woods that "it's great to see you back to see you back and in good health. You've done so much for the game and it's better with you playing." "It was difficult missing tournaments that are important to me, but this time I was smart about my recovery and didn't rush it," Woods said. "He needs to get back out here," U.S. Open champion Dustin Johnson said. "The tour needs him, and I want to see him playing well again. He's not going to come back unless he's ready, so I feel like he'll play well. Winning? I don't see it right away. But he's on a different level than anyone else. He'll be prepared." Rory McIlroy said he knew Woods was close based on a conversation with Woods' agent at the British Open this year. He said the PGA Tour sent out an alert to players on their mobile phones, which McIlroy checked at the end of his pro-am round at the BMW Championship. "I'm sort of glad I'm not there that week. ... It's going to be a bit of a circus," McIlroy said. "But it's good to see him back and healthy, and it will be exciting to see him back on the course again." Woods won his 79th PGA Tour title in 2013 at the Bridgestone Invitational, leaving him three short of the record held by Sam Snead. The last of his 14 majors was in the 2008 U.S. Open, right before reconstructive surgery on his left knee. He hasn't seriously contended in a major since 2013. Woods had his first back surgery right before the 2014 Masters. "I'm looking forward to seeing him play again, seeing what the state of his game is," world No. 1 Jason Day said. "I think he's done it the right way by waiting and not coming back too soon. There's been a couple of times where I feel like he may have come back too soon and kind of injured himself a little bit more and that's what's kept him out of the game so long."